It’s so lovely to watch how excited kids get in the countdown to Christmas; and living in the digital age means there are even more ways you can help build their excitement. Including these five, free interactive Christmas apps that you’ll want to download before the big guy arrives. But just a word of warning, you could struggle to get your smart device back! Kids often worry if Santa will really show up on Christmas Eve, so put their fears to rest with a personalised message from the man himself direct from the North Pole. Portable North Pole allows you to receive video messages and calls from Father Christmas using your child’s name, see their photo in their big book, play fun games and more. There are premium options too for a small price and five per cent of all proceeds go to hospitals around the world; including The Royal Children’s Hospital in Melbourne. Imagine how much fun your children will have shaving Santa’s beard or cutting, growing, colouring or blow drying his hair. 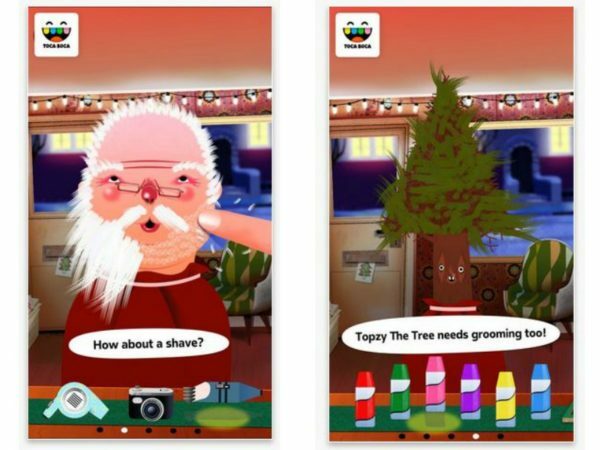 With Toca Hair Salon – Christmas Gift they can give Santa or Topzy the Christmas Tree a hilarious new do and then save photos of their creations. Brilliant! Here’s one for the super impatient kids! The Google Santa Tracker will allow your kids to watch the Christmas Eve countdown timer and play games with elves in jetpacks, rolling gumballs, rocket powered sleighs and more. Then once the Christmas Eve hits they can follow Santa as he makes his way around the world – nifty! Make and receive personalised calls to Father Christmas via the Message from Santa app which is guaranteed to amaze any tiny tots. You can also report naughty children through the automated voicemail system. Also very handy for all those parents looking for ways to keep their little monkeys in line. This one’s an oldie but a goodie. 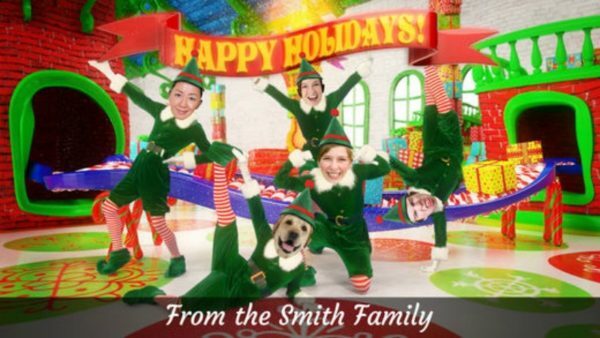 The super popular Elf Yourself app lets you literally ‘elf’ yourself by uploading your photo on a cartoon elf to create a cute personalised video you can then share on email or social media. You can also elf other family members or friends for group videos. Super silly but tons of fun – perfect for littlies and for sending to the grandparents. What other Christmas apps or games do your toddlers and preschoolers get excited about?